Although gastric and pancreatic cancers are aggressive, there is no evidence that early detection of recurrence improves overall survival. We aimed to measure the frequency of surveillance imaging in patients after curative resection for gastric and pancreatic cancers. We performed a population-based cohort study on patients in Ontario, Canada, with a first diagnosis of gastric and pancreatic cancer in 2003–2013. Health administrative databases were linked using unique encoded identifiers to record demographics, imaging frequency, and health resource utilization. The cohort comprised 2930 patients (2151 gastric, 779 pancreatic). The median age was 69 (38% female). The cumulative incidence of CT imaging overall was 74.3% after 1 year and 82.8% by 3 years. 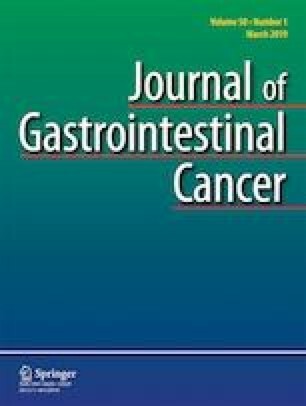 Imaging was more likely for pancreatic cancer compared to gastric cancer (p < 0.0001). On multivariate analysis, imaging was less likely for females and older patients and varied significantly by health district. Imaging frequency increased over the study period. Significant and increasing numbers of patients received surveillance imaging after resection of gastric or pancreatic cancers despite lack of data to show its benefit. This data shows the need for the Choosing Wisely Canada recommendations (published after the study period) and serve as a baseline for future analyses. This study was supported by the Institute for Clinical Evaluative Sciences (ICES), which is funded by an annual grant from the Ontario Ministry of Health and Long-Term Care (MOHLTC). The opinions, results, and conclusions reported in this paper are those of the authors and are independent from the funding sources. No endorsement by ICES or the Ontario MOHLTC is intended or should be inferred. Parts of this material are based on data and information compiled and provided by the Canadian Institute for Health Information (CIHI). However, the analyses, conclusions, opinions, and statements expressed herein are those of the author and not necessarily those of CIHI. Parts of this material are based on data and information provided by Cancer Care Ontario (CCO). The opinions, results, view, and conclusions reported in this paper are those of the authors and do not necessarily reflect those of CCO. No endorsement by CCO is intended or should be inferred. This study was supported by the Institute for Clinical Evaluative Sciences (ICES), which is funded by an annual grant from the Ontario Ministry of Health and Long-Term Care (MOHLTC). The opinions, results, and conclusions reported in this paper are those of the authors and are independent from the funding sources. No endorsement by ICES or the Ontario MOHLTC is intended or should be inferred. This study was approved by the institutional review board at Sunnybrook Health Sciences Centre, Toronto, Canada. Significant number of patients receive surveillance imaging after resected gastric or pancreatic cancers, despite the lack of data to show the benefit of such imaging.